These beautiful images are from a first anniversary dinner party organised by Amarology Wedding. The photos are shot by Jill Thomas. 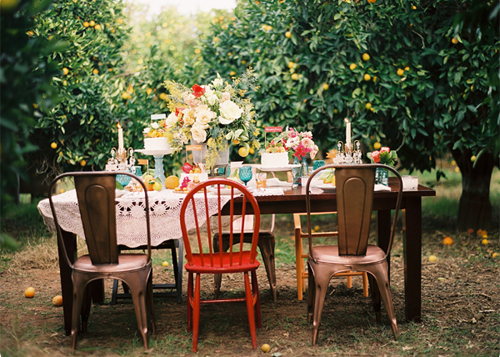 I love the setting in the orange groves in North County San Diego, USA. Looks like a great place to host a party! Such lovely pictures…its a treat to just look at ’em! Oh my, it’s a fairytale, so pretty, so perfect…thank you for sharing this! Oh, that’s so pretty. 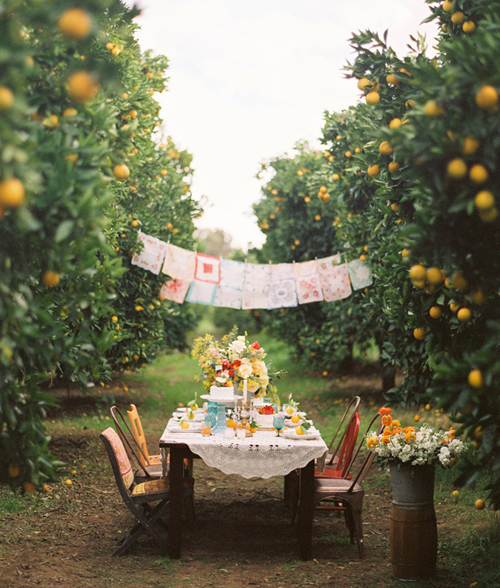 And I bet it smelled lovely in the orange grove! I love the chairs! 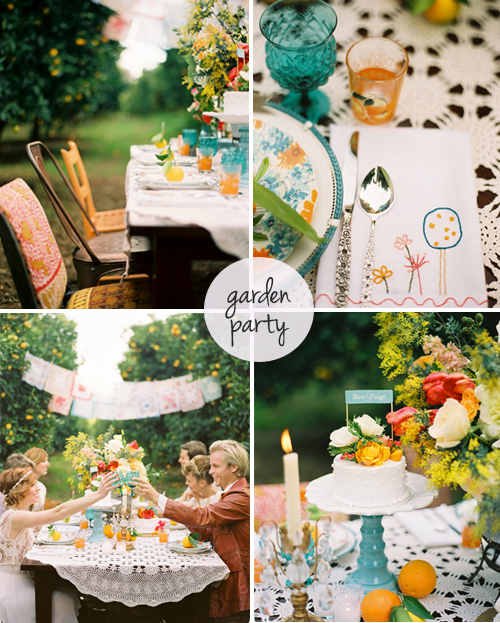 They show how well mismatched items can go together–it adds so much character and personality to the table. I’ve been looking at this wedding for quiet some time now… I’m dreaming of a baby christening in September that will resemble this setting… Simply beautiful! it’s so nice ! just beautifull !